Not all that long ago, I was a contributor to the (in my view excellent) tech news, opinion, and review web site Gear Diary. Gear Diary posts news items (selected from a flood of inbound email of companies wanting more press), reviews of software and tech gear, and opinion pieces related to the tech world. For several years, I was one of the primary writers of the news posts–I would take the copy that the various companies sent us, quote a bit of their press release info about the product, provide my own spin on it, tell folks where they could read more about it, and that was it. A while back, we discovered that the site was being relegated to “scraper” status. If you’re not familiar with the terminology, a “scraper” site is a site that basically just reprints news posts that they’ve “scraped” from other sites whole-hog in an attempt to generate high “click-through” numbers, allowing them to get advertisers and so make money. It’s a repulsive practice, in my opinion; it’s not all that different from sending out junk mail or spam. And it appalled us that we were being so labeled; we worked very hard on the site, and to be put down there with the Nigerian spammers was grating, to say the least. 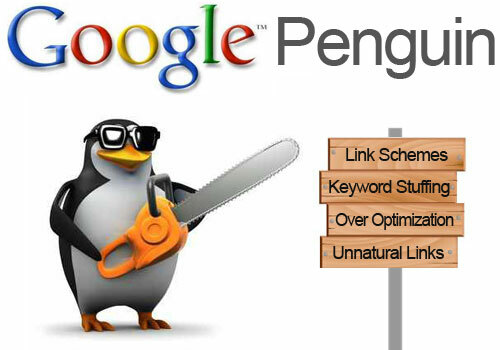 It turns out that Google has certain requirements in their “Google Penguin” algorithm that you have to meet in order to both not be labeled a “scraper”, and to get hits. And so we spent a lot of time changing our templates and reworking posts to meet these requirements. You couldn’t quote press release info that might appear elsewhere; you had to make sure the post was 250 words or more; the title bar and the first sentence of the post had to contain the right keywords; etc. etc. It was, to put it mildly, obnoxious. This is the world Google and their search algorithms have forced us into. I was thinking about this just recently while reading a piece on one of my favorite news and opinion sites, Salon. I’ve been reading Salon almost since they started, back in the mid-90s–the dawn of the Web era. They’re a left-leaning news and entertainment site that has hosted many, many interesting writers, from Anne Lamott to Joan Walsh to Heather Havrilsky to Glenn Greenwald and many more. But like all Web magazines these days, they have to please their advertisers, and that means they have to get click throughs. And it seems, more and more, that the way Salon does this is by including a picture and subtitle to a post that they know their audience will click on. Keep in mind this audience: Liberals and progressives. How do you get folks like that to click on something? What kinds of pictures might interest them? They use Grover Norquist and Sarah Palin a lot, as you might imagine. Which is fine I suppose, unless those worthies aren’t even mentioned in the articles at which their pictures appear atop. And that seems to be happening on Salon more and more lately. And Stewart, The Daily Show, and other “fake news” commentators like Stephen Colbert weren’t even mentioned in the post. I realize that the idea of the photos and subtitles that accompany posts have one goal in mind: To maximize views. I also realize that the folks who create the headlines, subtitles, and choose the photos that go with the posts are not the same as the authors of said posts. I understand that. Even so, the disconnect between those two in recent months at Salon has gotten absurd. Any time there is an anti-government, anti-tax post, Grover Norquist appears in the photo, despite the fact that the vast majority of the time, Mr. Norquist makes no appearance in the post itself. There are many, many similar examples. And here we have an interesting post–far, far, far too long-winded and repetitive, in my view, but that is a point folks can argue–that has a picture of Jon Stewart at the top and mentions him in the subtitle, but not Stewart, The Daily Show, or his style of “reporting” are mention or even alluded to. And that’s simply not okay. I clicked on a post to see what impact Stewart, The Daily Show, or the (still very small) industry of “fake news reporting”–which includes Stewart, Stephen Colbert, the folks at the SNL Weekend Update team, The Onion, Funny or Die, and a few other places–has on news reporting and our public discourse, not a lengthy treatise on why and how the bloviators of the Beltway and mainstream media fake being “objective”, and give voice to their opinions while simultaneously distancing themselves from those same opinions. An interesting topic, I agree, but not what I was clicking on to read about. This has gone beyond the realm of click-bait and into that of false advertising. It’s become ridiculous. Salon is deliberately misleading its readers in an effort to get them to click on posts. And it runs back to Google, their search algorithms, advertising, and the dynamics of the web. I don’t have a quick or easy solution, alas; I just know that we seem to be going down a bad path, dictated by the all-powerful Penguin, and we need to rethink it. And Google needs to get back to their “Do no evil” mantra.